Kalidore turns 10 this year… just what might this birthday bring? The one thing about being in the thick middle of a Kalidore event… it leaves little time for much else, let alone blog posts XD On the other hand, it’s a Kalidore event, and they are among my favourite times of the year! I get to introduce new pretties, as well as see the wonderful pretties everyone else creates for our fun (and often rather challenging!) contests & games. and we are so excited to introduce the Moon-Singers! In Chinese mythology, the dog represents loyalty, honesty, and have a strong sense of justice; the Moon-singers are no different. 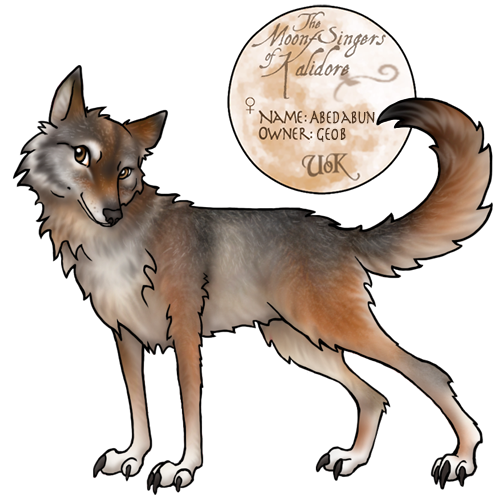 They are referred to by the Unicorns as the Forest Sentinels, a duty the wolves take very seriously. They reside throughout the woodlands in tight-knit family groups, although they will band together in times of tribal need. Tayo and Vora lead the largest tribe, and as such act as liaison between the wolves and other creatures of the isle. As a major Arcana, they are fluent in the Isle’s languages, but tend to keep to themselves. find out why it’s been so quiet lately, and all the fantastic stuff we have planned for 2018! … after all, what’s the holidays without a little Kalidore Chaos? We surely don’t know! 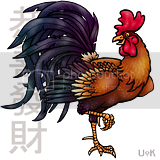 all in celebration of the Chicken, that most dignified and noble of beasts! Hope to see you all there, and Gong Hei Fat Choy!